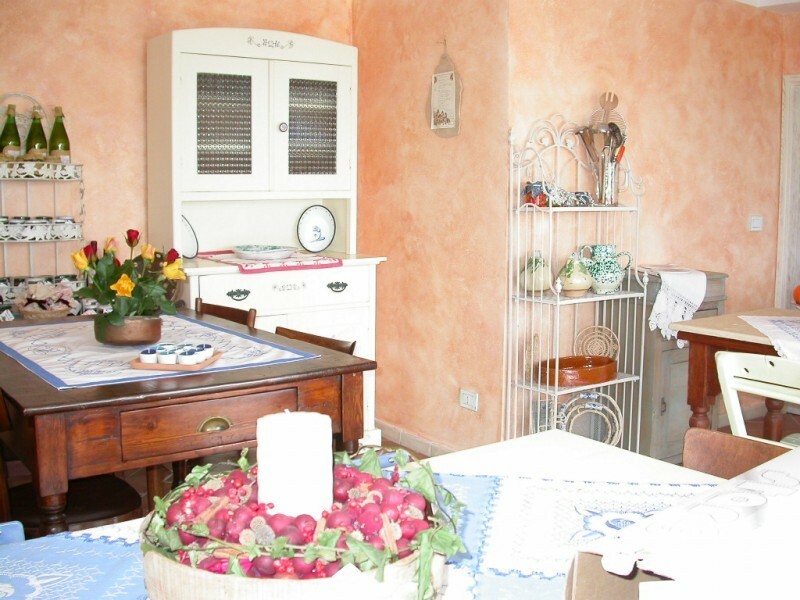 Laying on the spectacular Marche country, the B&B Vento di Rose is located on top of a hill, between Monterubbiano (orange flag assigned by the Touring Club Italiano) and Moresco (one of the most beautiful villages in Italy). 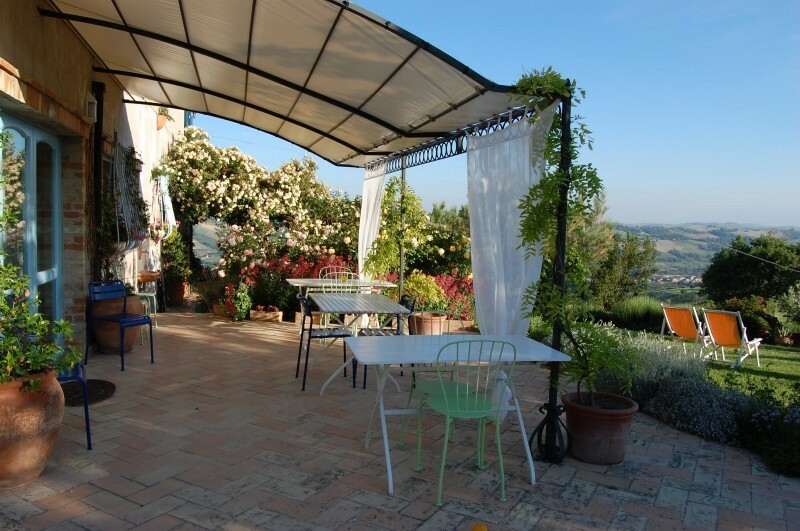 The B&B is the right place to spend a romantic weekend in the Marche, situated only ten minutes away from the Adriatic sea and thirty minutes from the National Park of Sibillini Mountains, between the provinces of Ascoli Piceno and Fermo. A quiet and silent corner where roses embrace the wind. 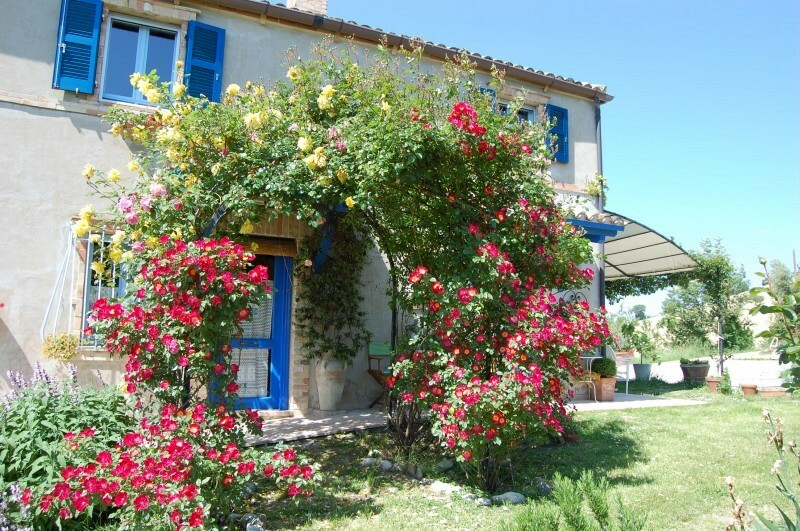 It`s always refreshed by breezes and surrounded by a garden plenty of roses, lavenders, rosemary and ginestras which wrap the guests with their perfumes. Its beauty is enphasized by old olive trees, secular mulberries caressed by winds, shady pergolas, fluttering hammocks and flowers in terracotta vases. Three romantic bedrooms with bathroom, elegant atmospheres, harmony and attention to details along with the rich and delicious breakfasts/bruches, are the ways how we welcome our guests in a warm and familiar atmosphere, but also intimate and respectful of your privacy.